Getting protein can be tough, this delicious protein bar makes it easy. Save 14% on our most popular bar by bundling 8 boxes together and hit your protein goal with delight. One of the hardest daily tasks for bariatric patients is getting enough protein. How in the world are you supposed to get in the recommended amount of protein while also keeping total calories low? That’s why we bundled together our most popular protein bar so you can save money and meet your protein goal while enjoying every step of the way. 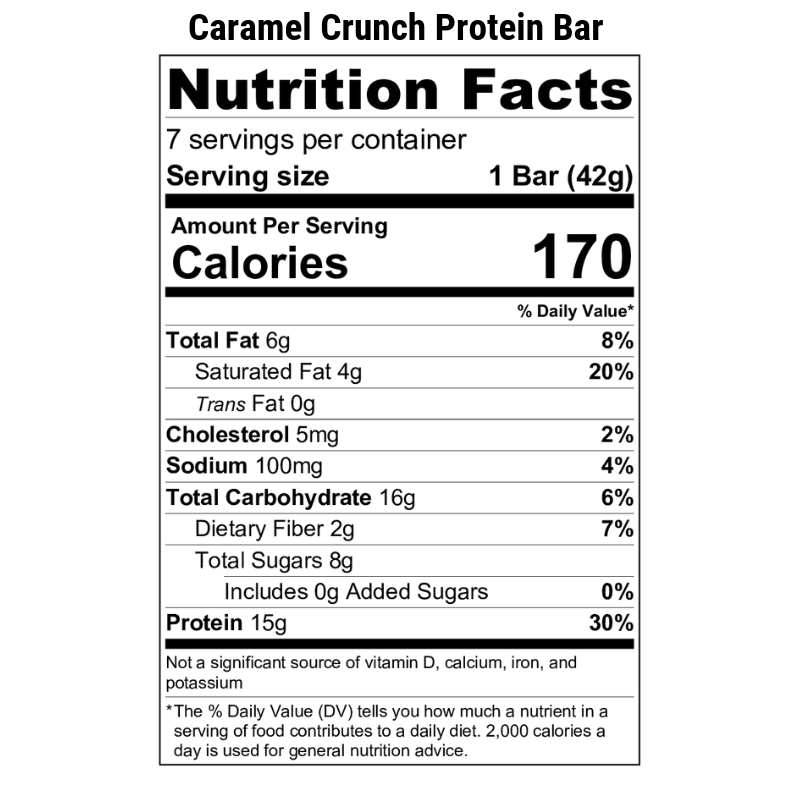 The caramel crunch protein bar is delicious and packed with protein! This protein bar has crispy soy nuggets with an irresistible caramel filling and the perfect chocolate coating. It’s a great tasting bar similar to a Nestle chocolate crunch bar! The delicious airy crisps, rich chocolate taste and decadent layer of caramel go together so well, there’s not wonder why it flies off the shelves. A typical recommendation for a gastric bypass or sleeve patient is 60-100 grams of protein per day. If you assume 15 grams of protein per serving in an average protein supplement or meal replacement that means only 2 – 3 servings per day. Then consider how easy it would be if you actually loved your protein bar? You’ll have to be careful about getting too much protein! The Caramel Crunch Protein bar delivers on delicious taste, optimal convenience and bariatric nutrition. It’s the perfect combination of chewy and crispy and sweetness, but not too sweet. It has the perfect amount of rich chocolate and decadent caramel. It can compete with any candy bar or dessert. You can’t predict what might happen in your busy life, but you can always be prepared. Keep Bari Life protein bars in your office, backpack, car and gym bag so you’re always able to satisfy hunger no matter where you are. The Bari Life Caramel Crunch bars are suitable for the solid foods and weight maintenance diets. Also a great choice for gastric sleeve, gastric bypass, duodenal switch and gastric band patients. Since Bari Life protein bars were originally created for medical weight loss diets they are a fantastic option for anyone watching their weight! Enjoy them as an on the go breakfast or snack. They also make a perfect protein packed option for athletes and overall healthy living.